One of the first payment solutions I used when I first started working with WordPress years ago was Cart66. It’s hard to remember back then, but you can still get the stand-alone plugin on their site. Today I’m not looking at that solution. Instead, I’m looking at their hosted system (another SaaS, remember Memberful?) called Cart66 Cloud. One of the things you’ll note is that multiple hosted membership solutions exist. On the simple side: Memberful. On the feature-rich side: MemberMouse (review coming soon). And right in-between is Cart66 Cloud. 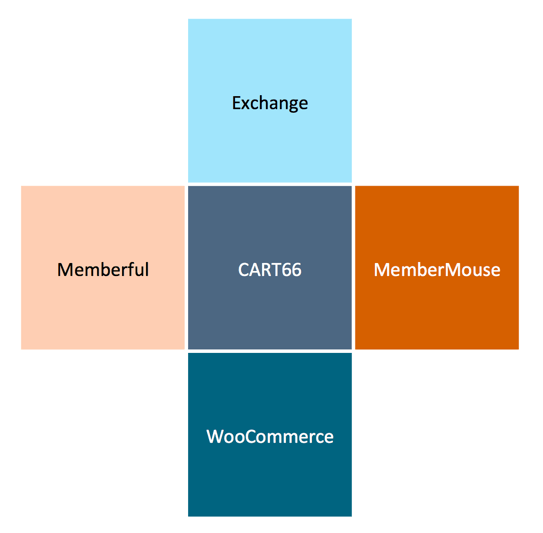 What’s great about Cart66 is that it’s the same with eCommerce. On the simple side you might use Exchange. On the feature-rich side you might go with WooCommerce. But in the middle you get the benefit of Cart66’s approach. If you ask me, it’s tough work figuring out how to deliver as much value to as many people as possible and Cart66 has done a pretty great job of it.
.@cart66 does a great job of finding a way to deliver as much value to as many people as possible. Let’s jump in right away. Cart66 makes a distinction between memberships and subscriptions. So a membership can’t have a subscription. What? It’s a distinction I understand but not likely as intuitive as one might hope. Here’s the simple way to understand it. 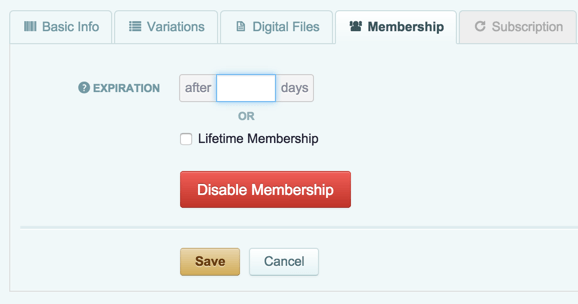 So if you’re creating a membership site that lasts for a year and that’s it, you want a membership. If you’re creating a program that can go on forever (and who doesn’t like that? ), then you’d use a subscription. Luckily, they’re both easy to create. You start in the cloud (the Cart66 management site) creating a product. What you see right away is the power of Cart66. You don’t just get to control the definition of a product. You can control (easily) the labels for the pricing, the button text and more. And did you see the Variance and Digital Files tabs – even more power to do cool things. But for now, let’s head to the Subscription tab. We have to activate it. Once we do, we’ll see these options. 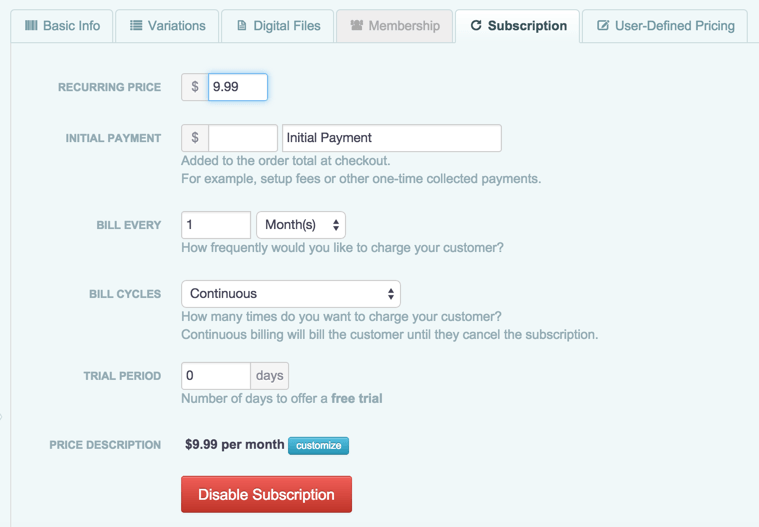 You can create trials, define billing periods, and add an initial payment (setup fee, etc). Now, if I wanted to charge for a specific period of time without renewing, you could make this a membership. For this demonstration, I created one of each. You’ll likely notice the “goodies” section on the right. It makes it easy to push these products to your site so that you can configure content protection (which we’ll look at next). 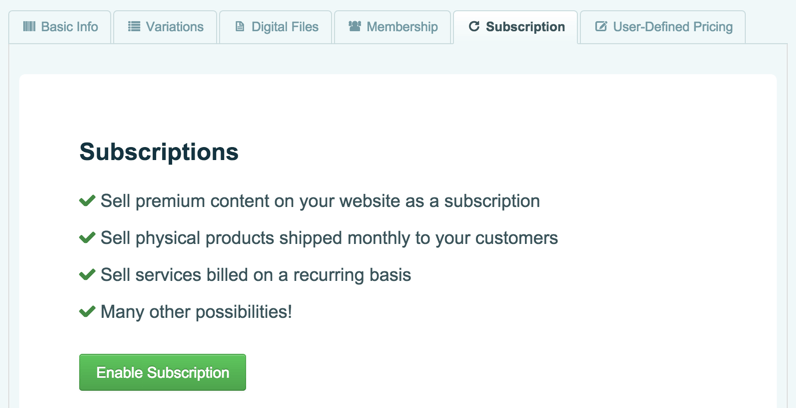 Creating subscriptions and memberships are fast and easy using @cart66. And the reality is that if you want a membership client to renew, you can send them an email in advance of the expiration and send them a coupon for a % off. You know how much I like email notifications before products expire. And here is the coupon screen. You can protect content by using shortcodes that they give you, targeting specific products you’ve created. You can also configure full page access by clicking on a check box of products in the metabox they put on the edit side of your page. And lastly, you can protect categories of content (which is often my favorite because I don’t want to go into posts and set up shortcodes). You’ll see that I assigned all my “platinum” content to the Academy product, and all my “gold” content to the Gold Membership. Want some good news? 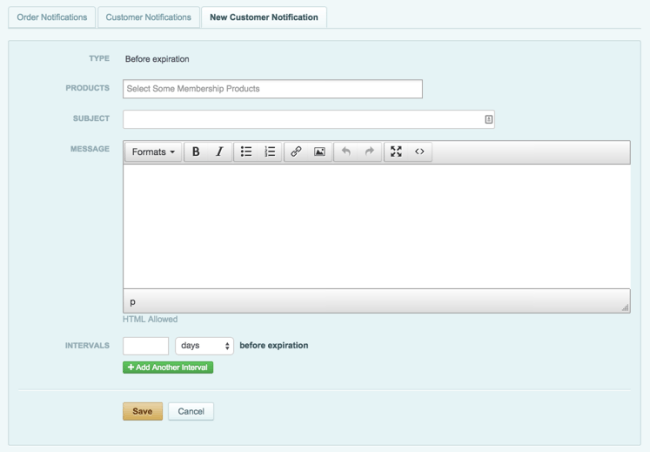 Customers can sign up for as many different membership or subscription products as they want. Want more? Cart66 supports content dripping! 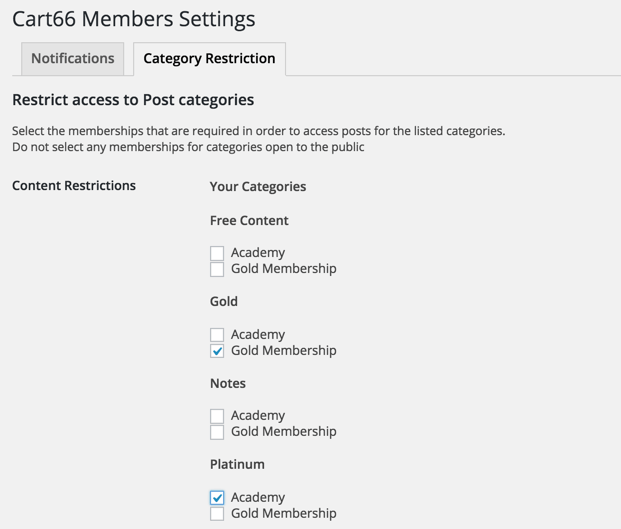 Customers can sign up for as many different memberships as they want with @cart66. If you are stepping into payment collection online, then you likely know about something called PCI compliance. This is one the best reasons to use a hosted service like Cart66. It takes care of all the PCI compliance for you. And more importantly – it has a ridiculous amount of payment gateways that it supports. All included in their yearly fee. I understand why people charge for payment gateway extensions. It’s expensive code to write. But it’s truly a part of the product when you’re building an online solution. So when Pippin rolled in Stripe for Restrict Content Pro, I was jazzed. 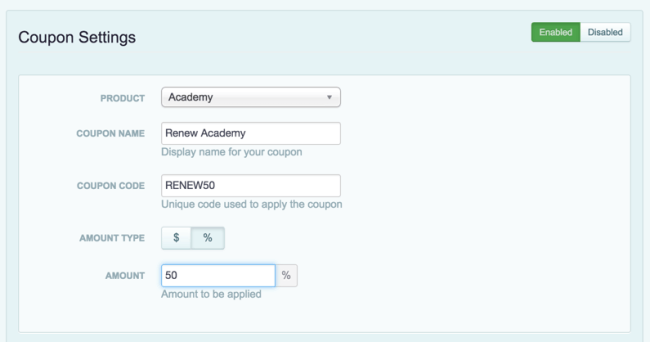 Cart66 supports over 85 different payment gateways while only charging you $95 for the year. That’s a massively great deal. Check out the entire list on their site. Cart66 has a tremendous number of amazing features that I’m sure you’ll love. Let’s dig into a few of them. Taxamo support. If you’re also selling some digital files or shippable products (either as part of, or as an addition to your membership), and you support customers in Europe, having integrated support for Taxamo is great. Shipping support. I’ve written before about the kind of membership site that ships products (like razors). Well guess what? Cart66 can do it – and charge based on weight, price (of the entire cart), or integrate with a real-time calculation. Buy links. Only when you have a securely stored vault of customer credit cards can you create one-touch offers like Cart66 can. These are buy links that only require a link. Send them in email or even put them in a private DM. Doesn’t matter – it will let your customer buy what you want them to, quickly and easily. Missed any part of this series? In case you weren’t aware of the series, here are the other plugins I’ve reviewed already. Yes, this is a month full of membership plugin reviews. The good news is that with massive payment gateway support, integration with Taxamo for VATMOSS compliance, and support for eCommerce, Cart66 may already be the perfect solution for you, regardless of my own scoring. That said, let’s get to it.